To learn more about our dedicated team of researchers, click here. Although this website is not about me and my family, this one page is. 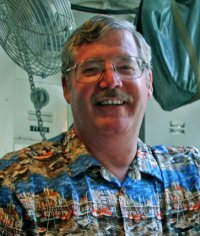 I was born in San Diego, California, and am a graduate of the University of Southern California. I taught in Japan for 18 years. My wife is from Sapporo, Japan, is a wonderful mother and a great cook. Our son was born in January of 2000. Chas and I enjoy snorkeling, swimming, tennis, archery, and playing computer simulations together. I am an eleventh-generation American, and through the assistance of the Hinman Family Association, we can trace our roots back to about 1620. 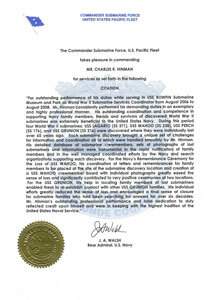 My father and brother were career Naval Officers, but I was never in the Service. USS Bowfin Submarine Museum & Park, located on the shores of Pearl Harbor and adjacent to the Arizona Memorial Visitor Center, has been my place of employment since 1995. My duties include visiting schools and giving presentations on the history and science of submarines. 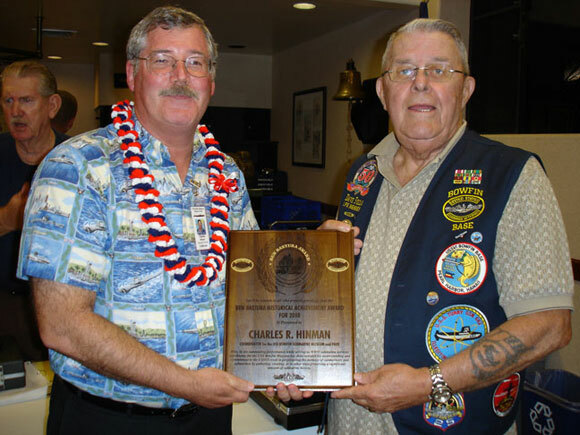 In 2008, I was honored by the Commander Submarine Force, U. S. Pacific Fleet, with a citation for service to the submarine community. 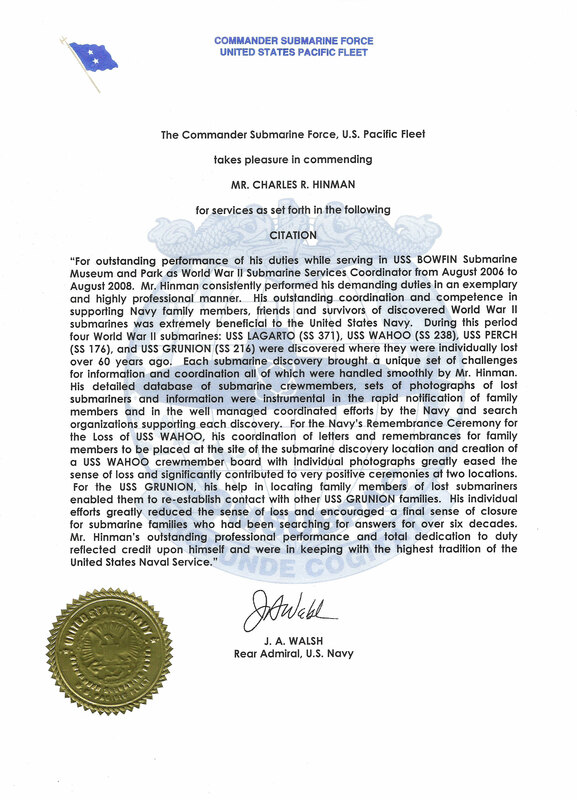 In 2010, I received the Ben Bastura Historical Achievement Award from U. S. Submarine Veterans, Inc.
(5) U. S. Rosters of World War II Dead, 1939-1945, available online at Ancestry.com. Finally, the little Japanese character (Ryo, meaning "cheerful") on the bottom right corner of the pages of this website is my son's middle name.